Video marketing has become part-and-parcel of a successful B2B marketing strategy. In fact, no business campaign is complete without video content integrated into its marketing mix. According to the Content Marketing‘s Institute, the 2018 B2B Content Marketing Survey shows that around 72% of B2B marketers are using pre-produced videos, up to 17% use live video streams, and more than 4% create short films and documentaries. According to the Aberdeen Group, marketers that use video see a 49% increase in revenue. Embedding a video on your webpage can increase conversion rate by 80%, according to Eyeview Digital. And according to Hubspot, 51.9% marketers believe videos to have the best ROI. Let’s see which video types can be used to what advantage for B2B marketing. Although a webinar can take on a variety of formats, essentially, it’s a live and interactive video session where viewers can also act as participants. It’s one of the most engaging video formats as audience participation is highly encouraged. During a webinar, you can encourage viewers to ask questions, conduct polls, and host an interactive Q&A session. No matter what type of a business you run, consumers will most likely want to hear other consumers’ reviews that have tried and tested your product/services. This makes customer success stories one of the most popular B2B video formats. Raving about your own business in a video can run the risk of sounding gimmicky; honest testimonials are a way to counteract that. 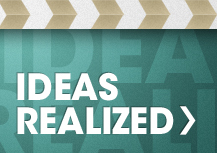 How-to videos and tutorials are some of the most watched video content on the internet. Learning how to do something step-by-step through a video is popular among both businesses and customers. You can use instructional video to show potential customers how to use your products/solutions and avail your services. Whether you’re showcasing a product, a service, your office culture, or whatever else; showcase videos are an engaging way to do so. When you have a company outing or an event, remember to shoot lots of footage. 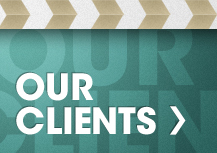 You can edit these videos and offer your customers an inner glimpse into the workings of your business. 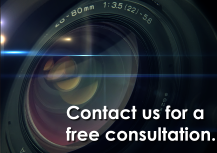 Run-of-the-mill corporate videos without the guidance of a professional video vendor can run the risk of being dull or cheesy. Switch things up and add some life to your video content by creating videos other than promotional ones. Remember, even if you’re interacting with other business professionals, you’re still interacting with humans. Capture and hold their attention with office culture videos, mission spotlights, holiday videos, or just for fun videos. Looking to expand your B2B video marketing horizons? We’ve got just the solutions for you! 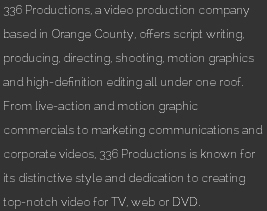 336 Productions is a video production service in Los Angeles, CA that helps B2B clients take their corporate video marketing strategy to the next level. Contact us now for more details!